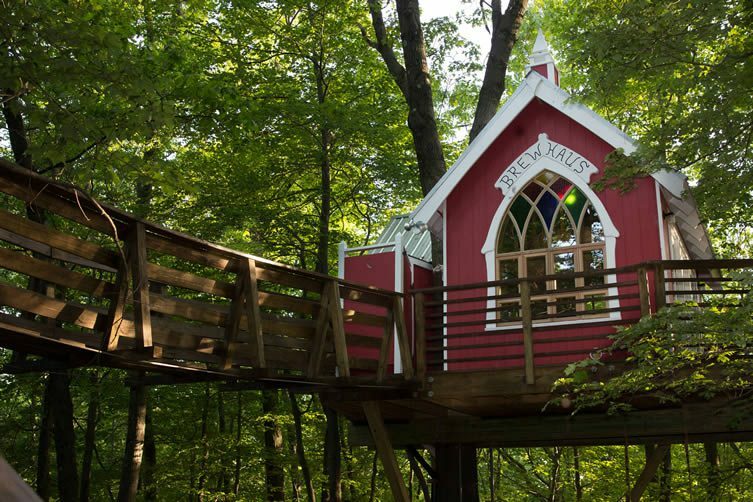 Tree houses, or treehouses, (whichever side of the grammatical fence you sit on), are blessed with an eternal ability to inspire. They are the stuff of childhood fantasies. 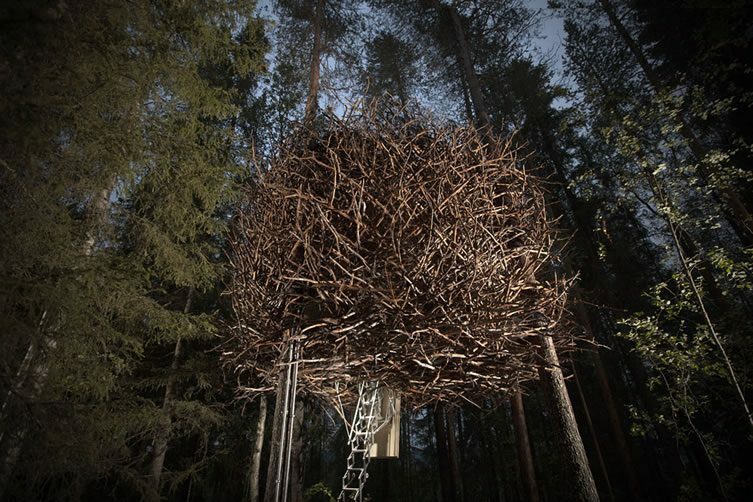 If you weren’t lucky enough to have a big old oak in your garden, you could dream — clasp a sword crafted from a scrap of wood, adjust your cardboard crown, and commandeer your very own fortress in the sky. 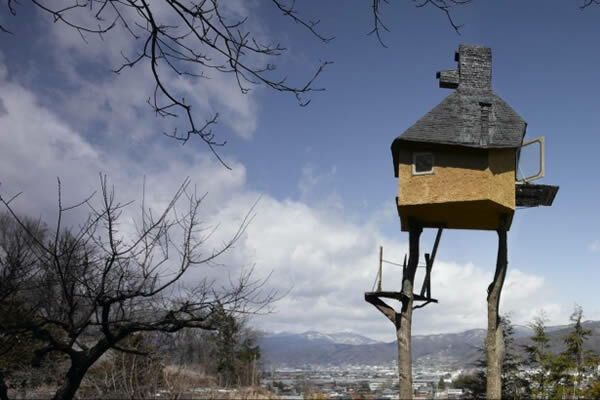 From popular culture and the big screen, to the real world fantasy of eccentric Japanese architect Terunobu Fujimori — whose Teahouse Tetsu, built for Hokuto City’s Kiyoharu Shirakaba Museum, and Takasugi-an, in Japan’s Nagano Prefecture, have become symbols how far into the fanciful architecture can be pushed — tree houses have never lost their power to evoke childlike daydreams, no matter your age. 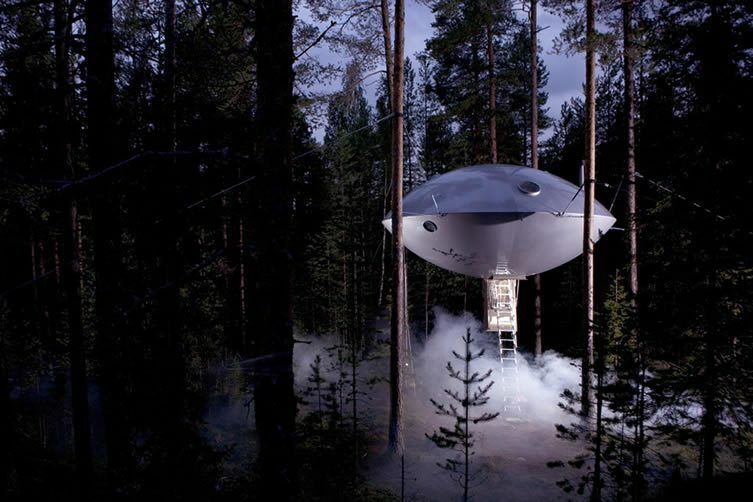 Perhaps its a primal call to go back to nature, perhaps its the endless oversharing of the digital age, but more and more of us are hankering for those childish fantasies … more and more of us are inspired by the freedom, the obscurity, the experience. 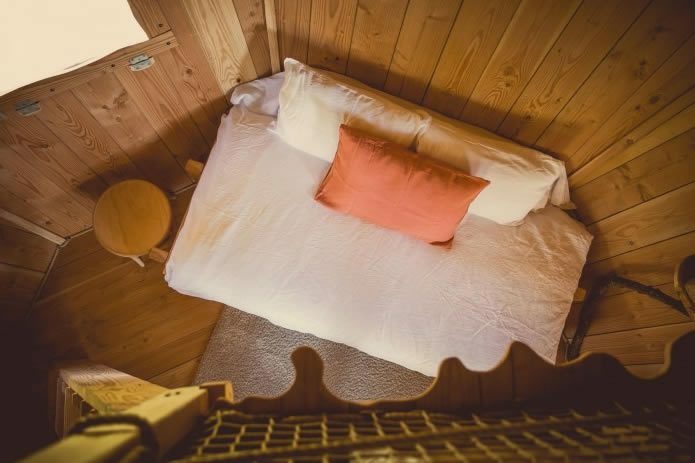 This run-down has been produced in partnership with the website facilitating our desire to be at one with the environment (without wanting to go the full Bear Grylls): Glamping Hub, host to countless would-be adventures — yurts; camper vans; tipis; safari tents; and, of course, tree houses. 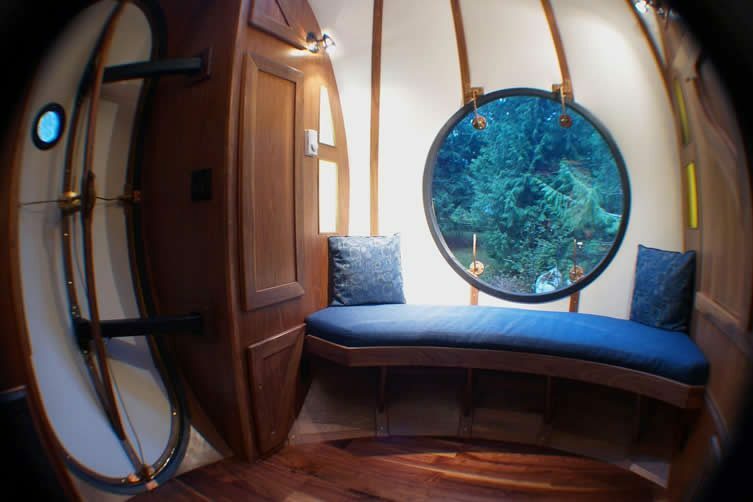 You can bet even your wildest childhood fantasies didn’t extend this far. 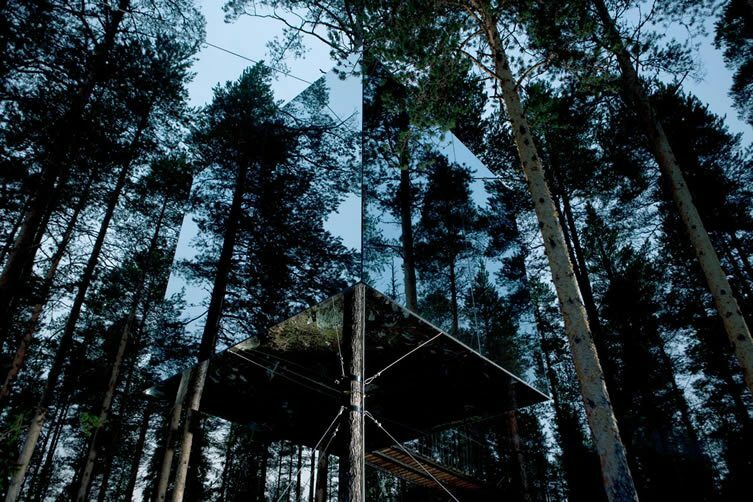 Suspended between four and six metres above ground level, each themed ‘tree room’ at Sweden’s Treehotel — The UFO to The Mirrorcube; The Bird’s Nest to the stylish Blue Cone — has breathtaking views of Sweden’s Lule River Valley and surrounding forest. 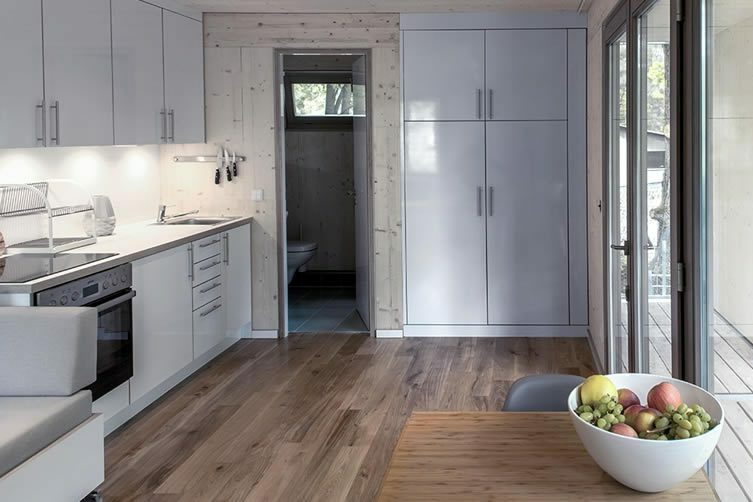 Tasking some of Scandinavia’s top architects to create sustainable and ecological cabins, the tree rooms make little impact on the environment, are insulted by underfloor heating, and are equipped with environmentally friendly combustion toilets (expect for The Mirrorcube, which features a ‘freezing toilet’). They are accessible to all via ramp, bridge or electric stairs. 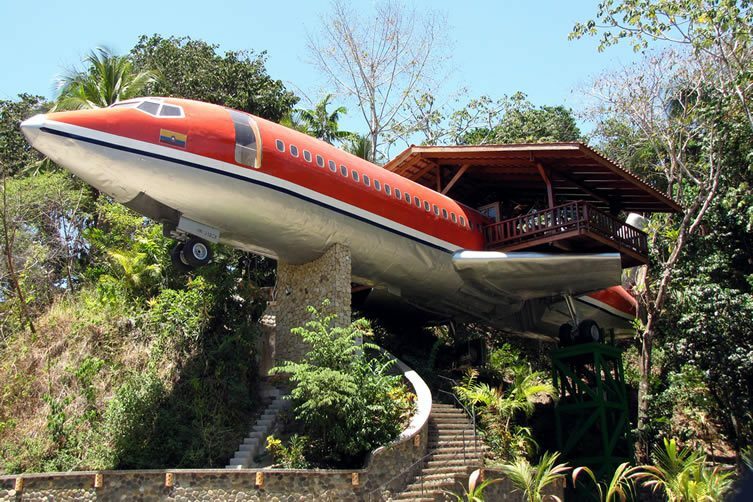 Once a commercial airliner, this vintage Boeing 727 fuselage is spending its retirement in the Costa Rican jungle as one of the world’s most extravagant tree houses. Located at a height of 50ft on the outskirts of the Manuel Antonio National Park — renowned for its vast diversity of tropical plants and wildlife — the views out towards the Pacific coast need to be seen to be believed. 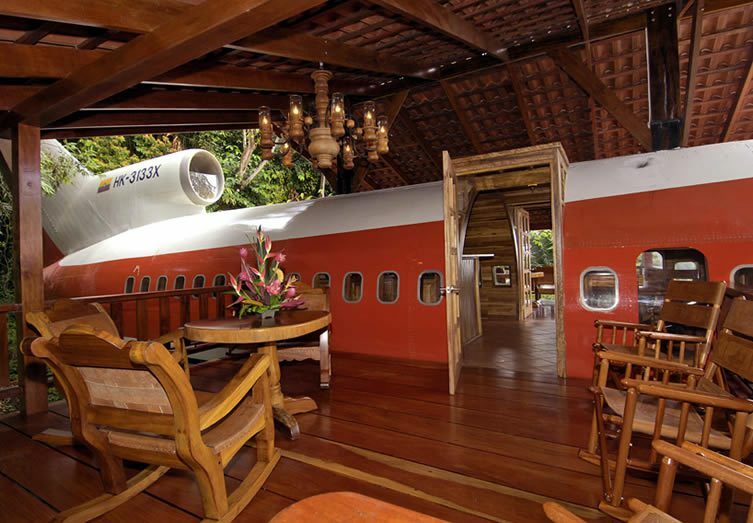 The airplane, now fitted with two bedrooms, each with private bath, kitchen and dining area, and hand-carved furniture, is a far cry from the fit-out during its flying days. The pièce de résistance, however, has to be the terrace from where you can spy your new neighbours: sloths, toucans, monkeys, and more. 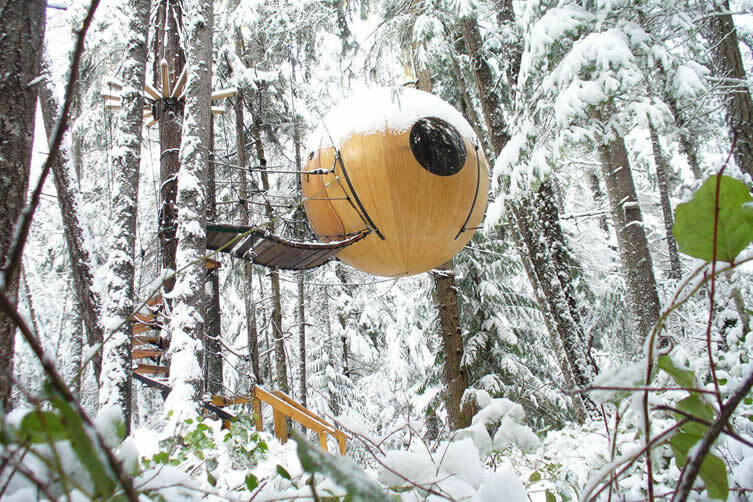 Nestled within the branches of the coastal rainforest of Vancouver Island, the adults only Free Spirit Spheres — a trio of hand crafted spherical tree houses — afford guests the opportunity to slow down and be at one with nature. 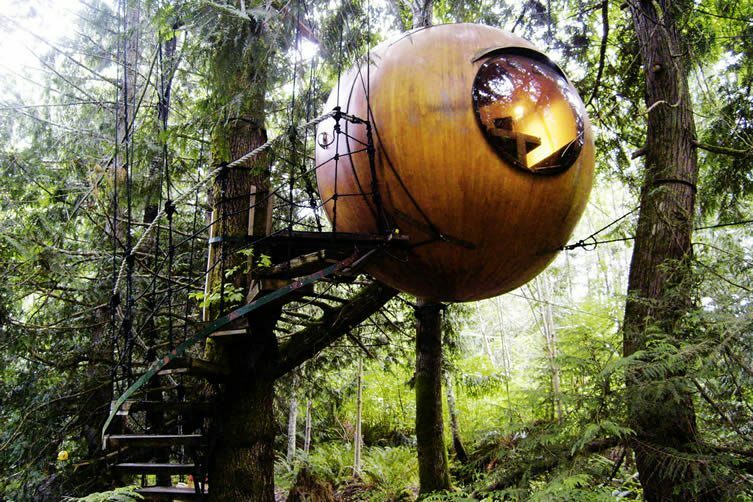 Your spheres (Eve, Eryn, and Melody) differ in size and amenities. 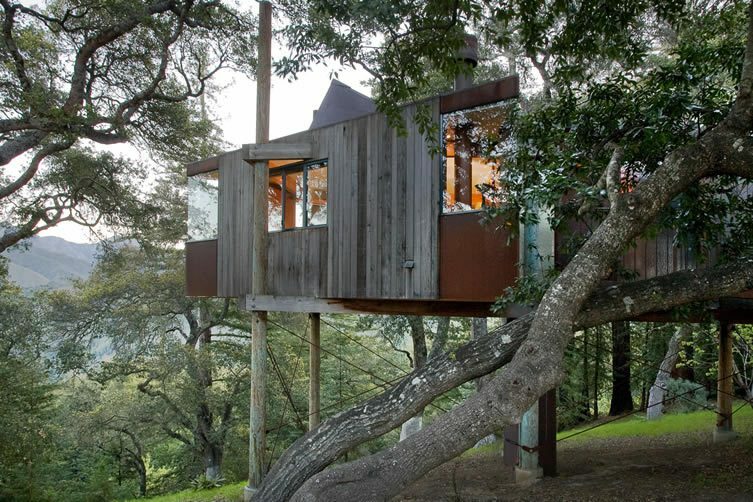 Eve being the smallest with a single bed, small settee and space for making drinks; Melody, the youngest of the bunch, boasts a spacious living area, double bed and mood lighting — arrive via bridge before scaling stairs that spiral around the tree. 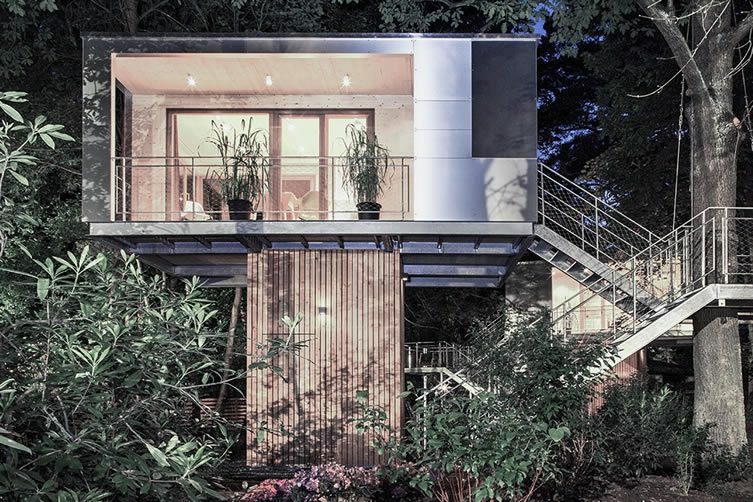 The edginess of Berlin … in a tree house? 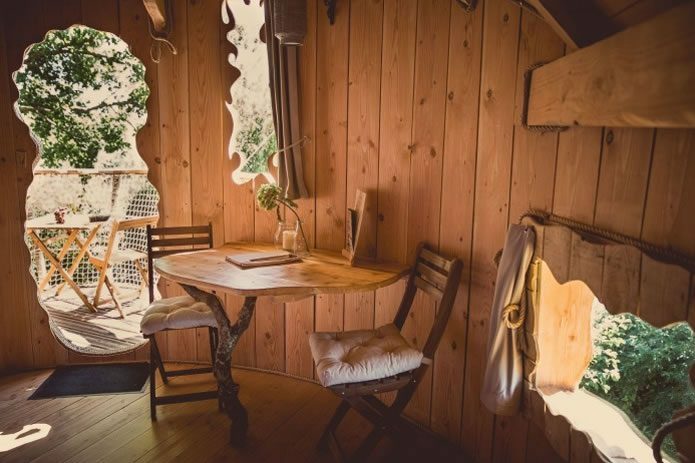 Situated in the southwestern border of the city’s Grunewald Forest, these luxury tree houses are a far cry from the ramshackle creations that rattle around your imagination. 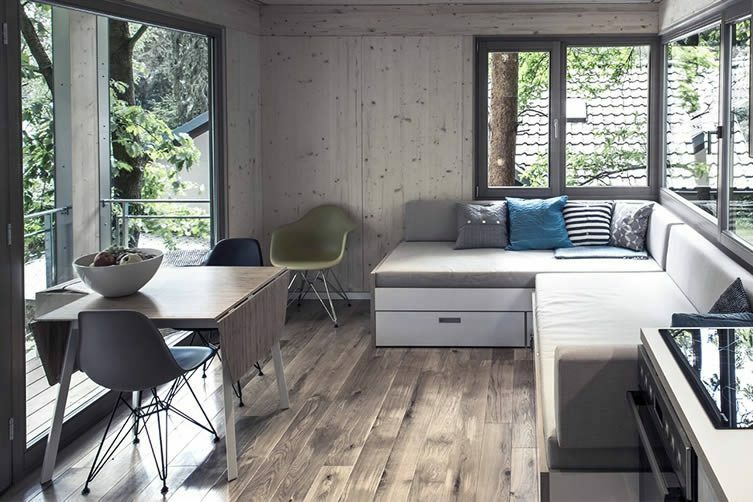 This is being at one with nature for those who can’t cope with being too far away from an artisan coffee shop — you’ve got all the mod-cons, plenty of space to enjoy the outdoors, and slick design to boot. 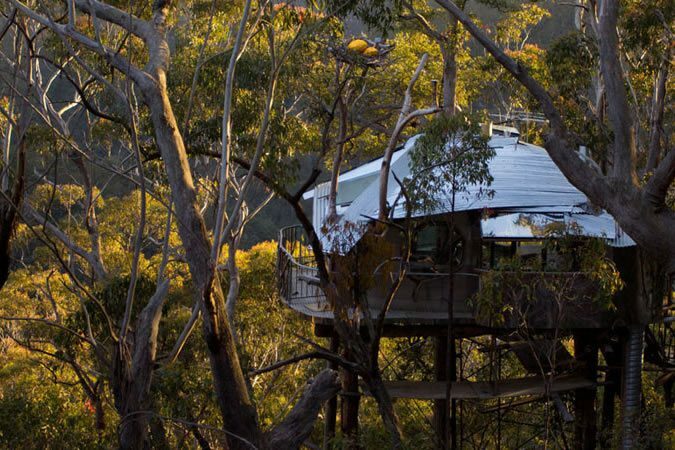 Tree houses that put the GLAM into glamping, indeed. 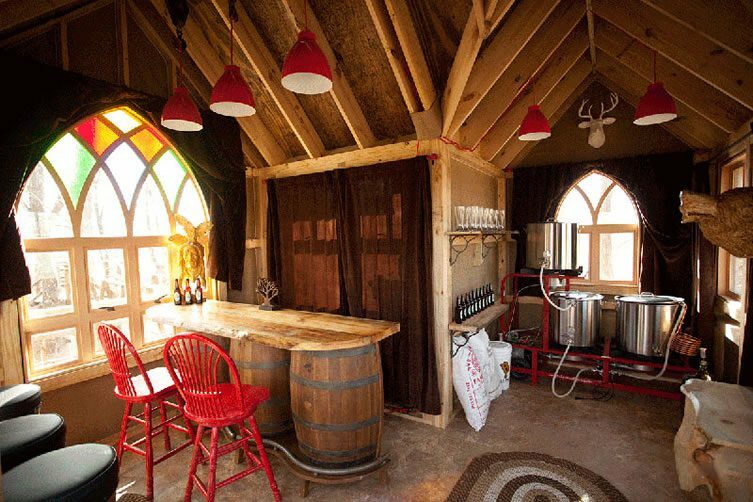 At first glance, this quaint tree house looks like the traditional american red barns — popular in rural America during the late 1800s — however, on closer inspection, there’s plenty more on offer at the Brew Haus; originally designed as a microbrewery. 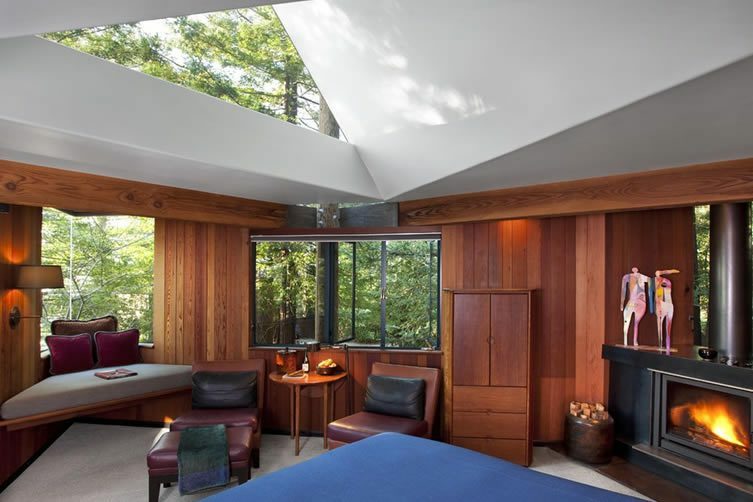 Huge windows offer an incredible view of the wilderness, whilst a 5ft stained glass window ensures a flood of colourful hues throughout the daytime. 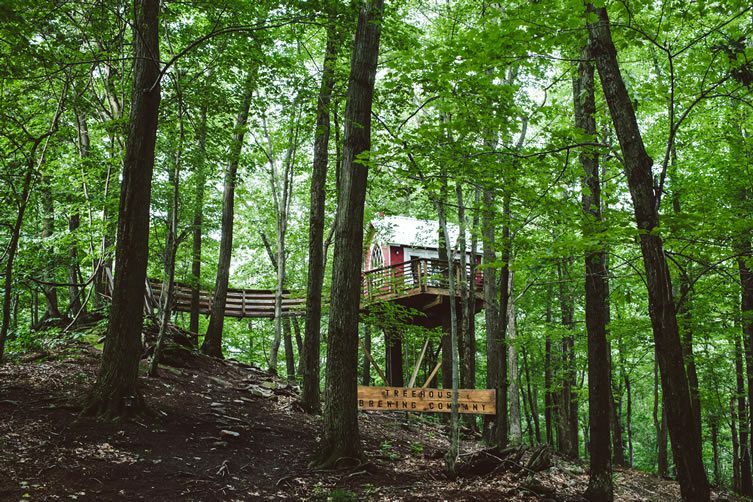 Located close to Ohio’s Mohican State Park, the tree house (accessed via a 30ft suspension bridge) accommodates two in a small loft that overlooks the living area. 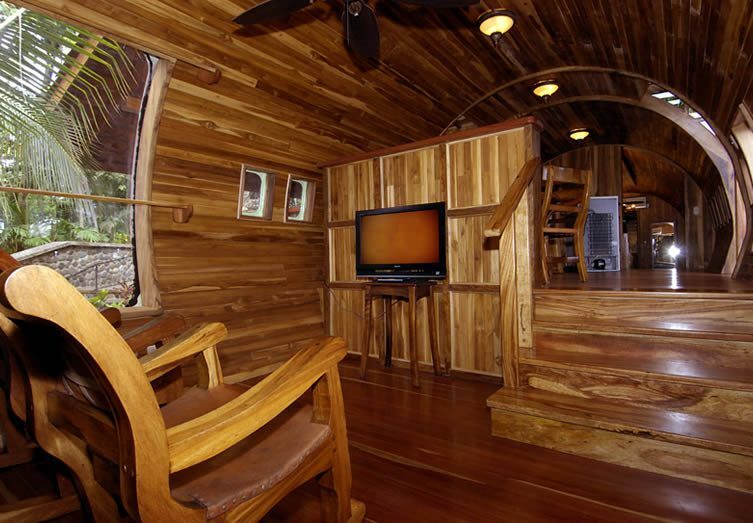 There’s an indoor toilet, shower at the end of the bridge, and decking area with charcoal grill for those ready to enjoy the authentic glamping experience. 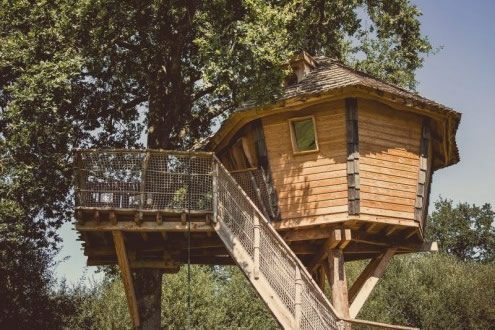 There are tree houses that you’ve dreamed of since you were an innocent kid, and then there are tree houses only an adult could possibly imagine — welcome to the cross between tree houses and the Hollywood hills. 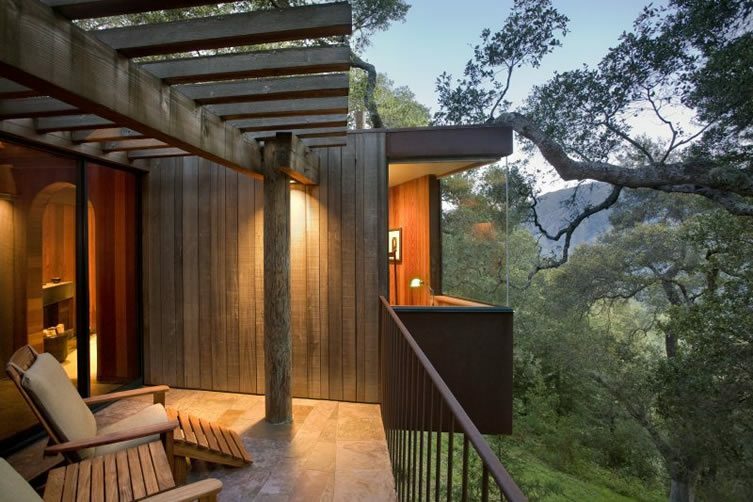 For this overtly luxury glamping experience, head to Northern California’s Big Sur where you’ll find three tree houses, all built on stilts and raised nine-feet above the forest ground. King-sized beds, organic mattresses, private terraces, and spa tubs, are the norm here; as are the breathtaking views of the imposing Pacific. 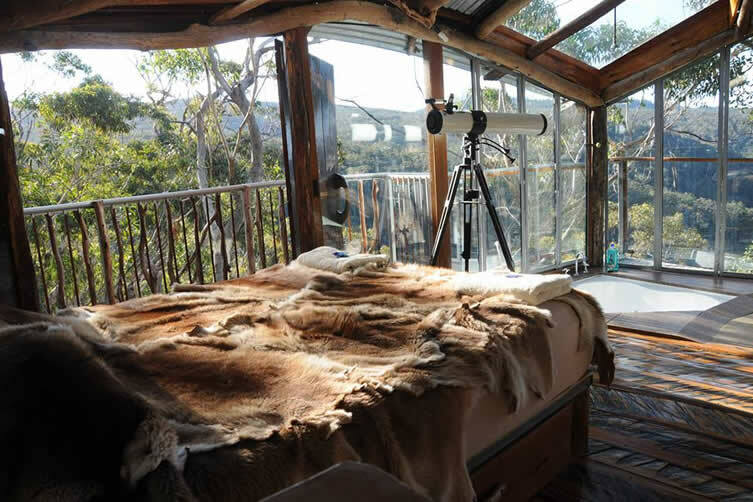 Whether you’re after a cabin, a tipi, or tree house, this accommodation in Australia’s Blue Mountains has it covered. You know what we’re here for. 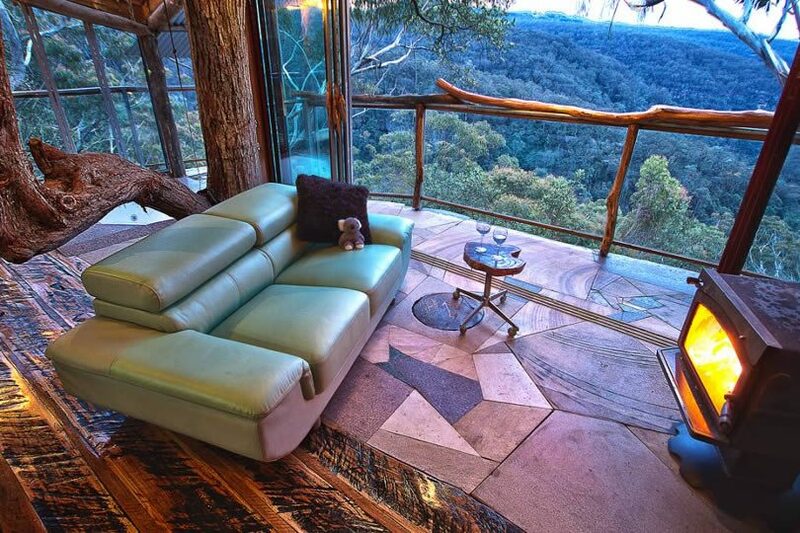 Intimate, largely thanks to being spread out among 600 acres of bushland, floor to ceiling floors and wide-opening doors bring an incredible sense of the outdoors to a tree house that feels a bit like Tarzan doing MTV Cribs. 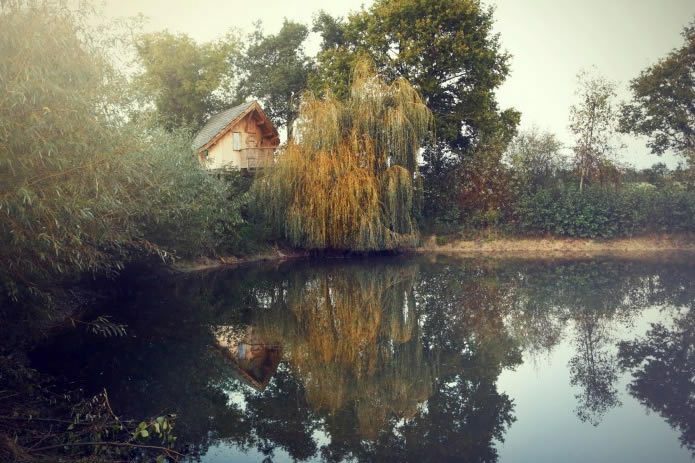 With the French sunshine gleaming over this tree house from morning to night, the small cabin — perched atop stilts on the edge of a small, postcard-perfect lake — accommodates up to three people, and is accessed by climbing a spiral staircase and small bridge between two oak trees. The more active can take part in biking and walking, whilst those who wish to unwind, but not miss out on the action, can observe with the binoculars provided.